In the beginning, most of products are asking themselves “How to attract more leads?” (unless if your product is a new version of Gmail). And the company starts doing everything to draw as much attention to its product as possible: creates landing pages, places ads, launches a blog and a newsletter, and writes a lot on social media. Okay. Let’s imagine what may come next if this succeeds. The number of leads increases, thus the number of customers may increase. But the truth is, you will also attract the attention of people who are not likely to become your paying customers. At one point, a time comes to move away from simple lead generation. You start to differentiate and rank your leads to work only with those who are the most perspective. It is called lead scoring. 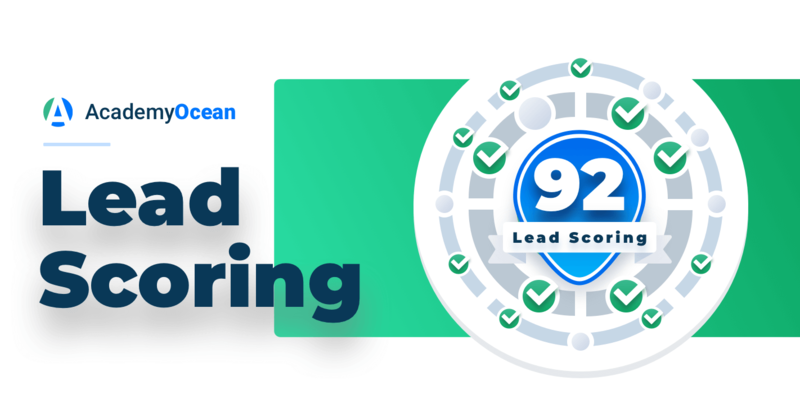 Lead scoring is a system of sorting your potential customers: each lead receives points according to certain criteria. The more points they gain — the more valuable they are for the company. Demographic — age, income level. Company information — company size, job position, industry. Geographic — especially important when you sell your product in a certain area. Budget — does your lead agree to your price? Behaviour — for example, activity on a landing page. These are just a few criteria you can use, but sometimes lead scoring is a lot more complex than just 6 points. …into sales qualified leads — these leads have already determined what they need (what their “pain” is) and how your product can help them solve their problem. These leads are very close to making a purchase, but they need a little more convincing. Tell it and show it! You can talk about your product in many ways: newsletter, Facebook / Twitter / LinkedIn posts, blog, Instagram. 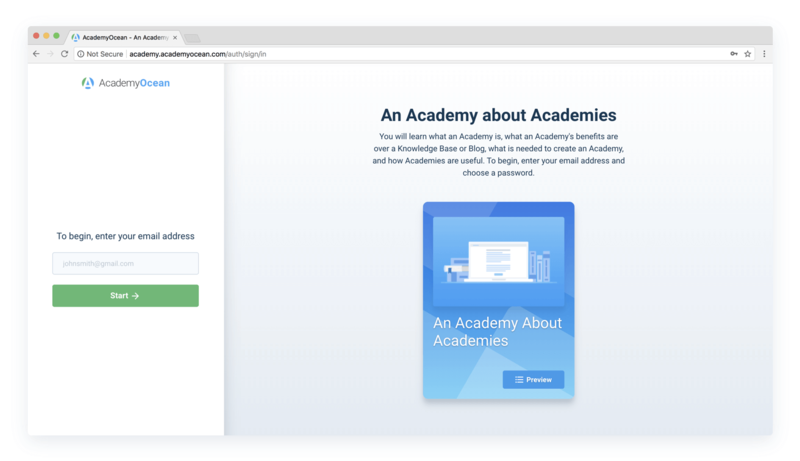 Also, we have two articles on using whitepapers, e-books and knowledge bases for your customer success — for your customer success — and compared these tools to Academies. We created two Academies with two different goals. The first one is the “Academy about Academies”. It educates those people who know nothing about AcademyOcean. We can call it an “Intro Academy”. For those who are familiar with AcademyOcean and are ready to create their own Academy, we offer access to our “Academy about creating an Academy”. This is a more in-depth course about our product and how it works. Personal statistics for each learner from these Academies help us understand which prospect is more interested in our product. However, we are not the only ones who use Academies for lead generation and lead scoring. We have a great example from our own client — a Serpstat case. Serpstat uses about a dozen indicators to classify their leads. Several key parameters are taken from Serpstat Academy. Serpstat receives statistics on every learner via AcademyOcean API and chooses the important indicators. Their leads receive points for each indicator. For example, the amount of completed lessons and courses is important. The same goes for certificates. Why? Imagine, you compare two leads: one has passed only an first lesson, while the other one completed your whole Academy. Which one, do you think, is more interested in your product? The time your learners spend in your Academy and their interaction with your content is an important indicator. The more lessons they finish — the “warmer” leads they become. Serpstat got some demonstrative results: they get more than 200 warm leads each month with the help of Serpstat Academy. Keep your target audience in mind while you are creating lessons and courses. Your Academy should solve their “pain” or answer a question which they need to solve. After you created your course, show it to your current visitors. Also, you can try to find where your target audience asks questions and leave the answers with a link to your Academy. Lead scoring is a useful feature that saves your time and optimizes your marketing and sales processes. With lead scoring, you will not spend your efforts trying to convince those leads who are not even close to buying your product. With Academies, this process becomes even easier. 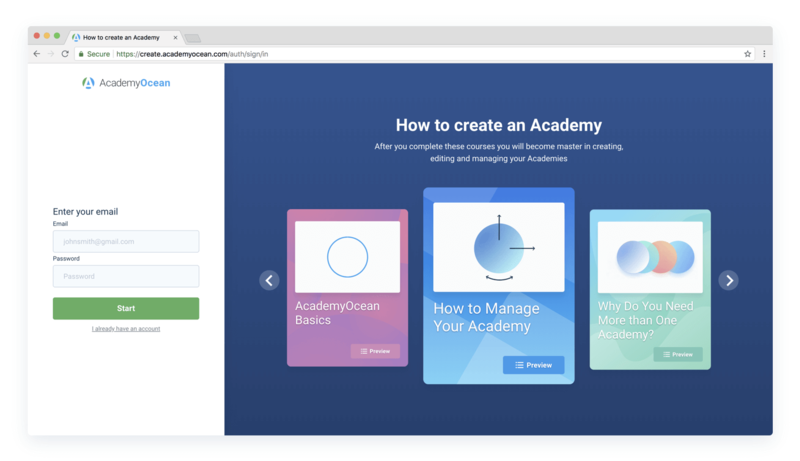 You can even create two types of them: the “intro” Academy for learners who have a little understanding of your product and an instruction for “warm” leads who are ready to buy it.